The $6 million in payouts will be comprised of four large rodeos each featuring a $1 million purse. Four semi-final qualifier events will provide the additional $2 million in prize money. LAS VEGAS – World Champions Rodeo Allianc, formed in cooperation with Professional Bull Riders to develop new opportunities for rodeo, announced rodeo events that will award $6 million to competitors, an innovative virtual qualification and world ranking system for athletes to qualify for high-payout rodeos, and other growth initiatives for the industry. 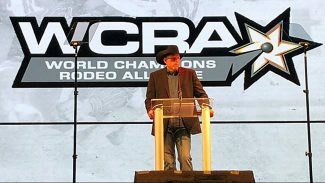 The announcements were made at an unprecedented Rodeo Summit open to all rodeo competitors, organizers and industry stakeholders at South Point Hotel and Casino in Las Vegas ahead of the WCRA Rodeo Showdown, a $400,000 rodeo at The Thomas & Mack Center at UNLV on May 5-6. The $6 million in payouts will be comprised of four large rodeos each featuring a $1 million purse. Four semi-final qualifier events will provide the additional $2 million in prize money. Qualifying will be based on points, rather than dollars won, through a new world ranking points system that WCRA introduced today. The first WCRA $500,000 semi-final event is scheduled for November at the Lazy E Arena in Guthrie, Okla., followed by the first WCRA $1 million rodeo in Sacramento, Calif., in January 2019. Additional 2019 WCRA large-payout events will be announced at a later date. 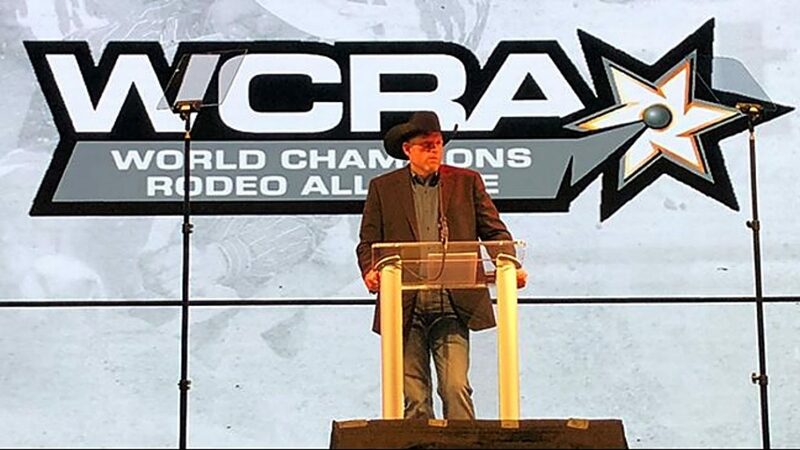 Additionally, WCRA unveiled new technology, including the WCRA Virtual Rodeo Qualifier (VRQ), available for every rodeo athlete to access a mobile nomination system to qualify for the $6 million in payouts. Through the VRQ, athletes can track their own and all other competitors' performances in rodeos and single discipline events throughout the year. This new free mobile web App for rodeo athletes was unveiled to put the administration of the sport in the hand of athletes, stock contractors and committee members. For more information visit http://www.WCRARodeo.com and https://youtu.be/lVEMfk4dJiI. Each athlete's first opportunity to qualify through the VRQ is less than 70 days away at the $1 million Komatsu Equipment Days of '47 Cowboy Games & Rodeo presented by Zions Bank held July 19-21, 23-24, 2018 in Salt Lake City. Days of '47 Cowboy Games & Rodeo: The Komatsu Equipment Days of '47 Cowboy Games & Rodeo presented by Zions Bank held each July in Salt Lake City will be the first $1 million rodeo in 2018 in which athletes can utilize the newly unveiled WCRA Virtual Qualifier to earn one of 20 spots in their respective discipline. The only exception is in the bull riding: due to a previously announced partnership with the PBR, only four bull-riding positions will be available via the WCRA Virtual Qualifier. Additionally, the event champions of the WCRA Rodeo Showdown at Helldorado Days (May 5 and 6, 2018) will receive an automatic invitation into the 2018 Days of '47 Cowboy Games & Rodeo. The 2018 Days of '47 will be streamed on RidePass, PBR's western sports digital network, providing the event expanded coverage and reach. In 2019 and 2020, the Days of '47 will also produce a $500,000 semi-final event as part of the WCRA Major Event Series. For more information on Days of '47 visit http://www.daysof47cowboygames.com.